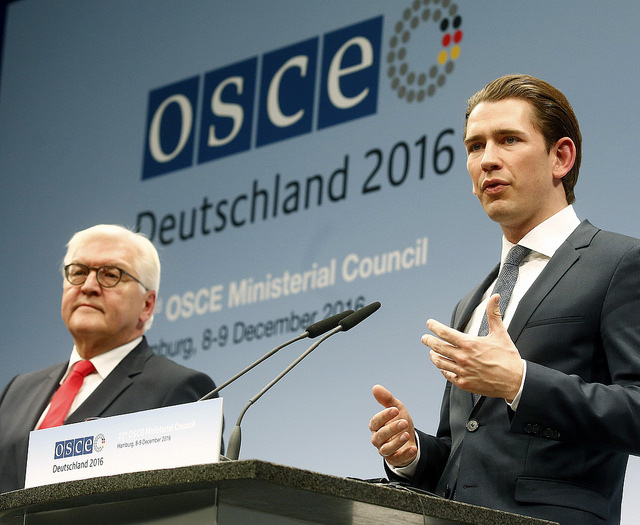 Austria assumed the OSCE Chairmanship of 2017 from Germany at the OSCE Ministerial Council Meeting in Hamburg on December 9th. “If we want security, we need to contribute by building bridges between East and West. We look forward to the honour of assuming the Chairmanship and to good cooperation” Elaborated Foreign Minister Kurz in his speech. Minister Kurz also met and had bilateral discussions with OSCE Chairperson-in-Office Minister Dr. Steinmeier, with High Representatives from United States, France, Russia and most Foreign Ministers of OSEC members. The third Western Balkans Summit was held in Paris on July 4th, as the following steps of Western Balkans Summit in Berlin-2014 and Vienna-2015. Highly rich with European heritage, Austria is the centre of Europe with its Capital city ‘Vienna’ the heart of Culture, History and Music, Literature, Science and Technology–since centuries ago. In the Military sphere, the Austrian Armed-Forces has a major Leading Role in NATO, EU, UN Operations– deployed in various parts of the World for maintaining Peace and Security. All the materials on Deutschland in der Welt.org (articles, news, photos, videos and media) are from various Governmental Agencies and are strictly Copy-righted. Redistribution, reproduction, copying, or linking the content of this organization, in any kind, are prohibited by Law.